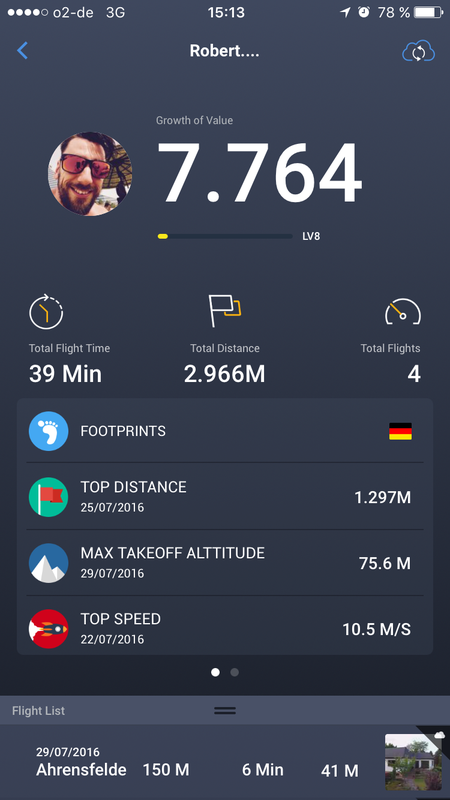 How does the pilot level work in the flight record on the app? Good question. How do you increase the PILOT LEVEL ? How many hours in your 20 flights? It may be down to hours not flight numbers. I&apos;m just guessing myself. 1 hour 57 minutes / 25 flights here but not sure when it changed to junior pilot. Wander what level it goes up to? Interesting. What happens if anything as you change levels? I have more than 10 hours of flight and I travel about 150 kilometers and i&apos;m still with junior pilot . Still a junior pilot after 70 flight times. Pilot level never up. Heck I&apos;ve got 175 flights with like 24 hours of flight time and my level hasn&apos;t changed. What&apos;s really odd is if you touch the arrow at the top to go to the page that just shows the aircraft, its much lower. 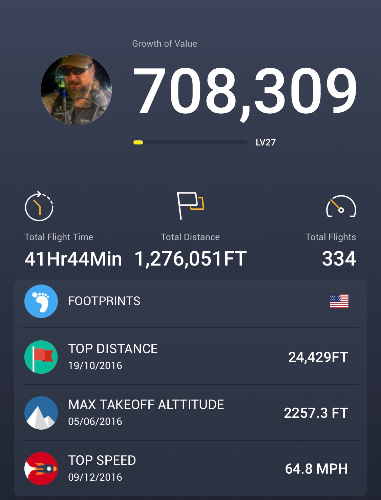 Mine Inspire says 72 flights and around 9 hours of flight time. Yet, I&apos;ve only flown the same Inspire so they should be the same number. Weird! 2 hr 41 min here and don&apos;t see anything other than "Pilot Level" and a small amount of yellow in the bar. Does "Junior Pilot" magically appear after 3 hours or something? I found "junior pilot" on my profile page (vs on the flight log). 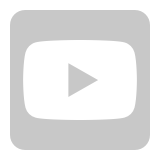 It seems like a gimmick to me, all it highlights is something else that might or might not work. Whats the point? Software engineers time should be put to better use. Ive been flying since i was about 8-9 years old, I&apos;ve flown Trex stunt helis to name a few, fixed wing and hex&apos;s, quads and certainly not a junior pilot.. hell! I&apos;ve even flown a Bell 212 under supervision of the pilot. 13 Hours 40 Mins, , 86 flights, 124 miles flown and guess what???? I am also still a &apos;Junior Pilot&apos;. I don&apos;t reckon this bit of the software works. This feature makes the pilot app look like a "game" ... and I have mixed up feelings about that! I just clicked on the edit button on the top right of the screen, then candles edit and my exp jumped to level 5.
maybe only Chinese can be other than junior pilot...Maybe need to change your name ( btw i am even not junior...) just nothing but i can fly. got the same problem, after wondering, what the "cloud" icon would do, i tryed the icon, ... started Sync and after a while, i was level 8... so the magic is the Cloud-Sync-Button. 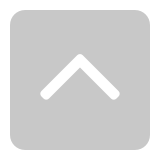 I don&apos;t know how it works but... have found it VERY useful to, at the end of the day ALWAYS touch that little cloud in the upper right corner of the app. and sync. ALL flight records, and I mean ALL, Not just todays or THIS MONTHS, I mean ALL flight records EVERY TIME. Just like keeping your mailbox clean, or saving your work on your computer, upload your flight records as part of your flight procedures, and if nothing else incase something tragic happens you aren&apos;t scrambling in a panic for your records. I&apos;m with you on "not a game". I have no idea what the rating is in reference to what or use? I have 132 hours and 980 flights and I&apos;m listed as a "Student Pilot". You have to sync your flight records by tapping the little cloud in the corner of the homepage on the app. How are these records affected when you do most of your flying in Litchi? If you are flying with solely a 3rd party app and not the Go app, then the flights would not be recorded. Not sure what this all even means but here&apos;s what some of you have to look forward to. 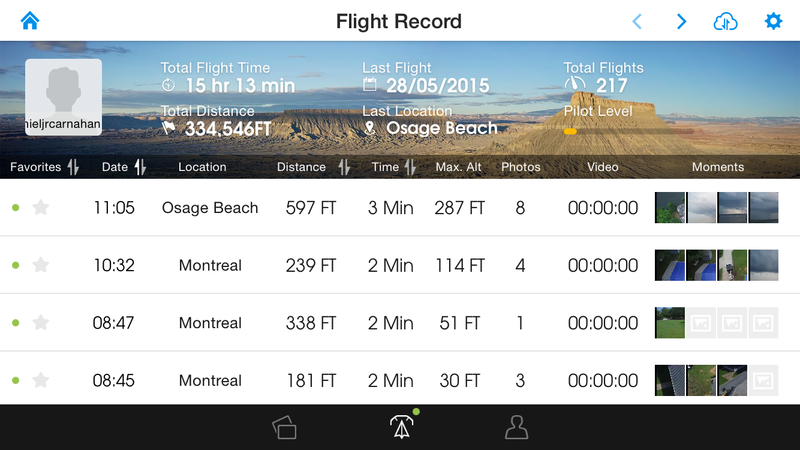 fansf1125937 You need to sync your flight logs from the DJI Go app with the DJI cloud. 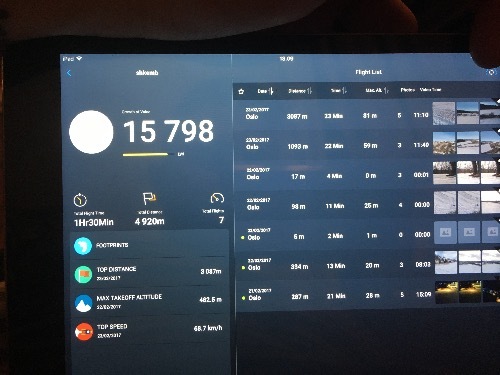 If you use a third party flight app or DJI Ground station pro then your flight logs wont be synced and thus your pilot level will remain static.